As I mentioned in my post on Church Flowers for Christmas, many parishes have a long standing tradition of filling the sanctuary with red poinsettias for Christmas. The backstory for this is a legend that can be found in many varying versions on the internet. 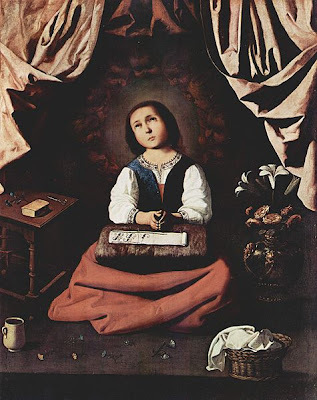 In simple form, the story is that in Mexico, in the 1500s, a little girl named Pepita was too poor to give Our Lord a gift for his birthday at Christmas. So, an angel told her to gather weeds and put them in front of the altar. When she did this, the weeds were transformed into the lovely crimson plants now known widely as the poinsettia. Interestingly, what we think of as the plant's blossoms are actually leaves (bracts), and their color is dependent upon the light the plant receives, such that it may range anywhere from white to deep red and many shades in between. The poinsettia is native to Mexico, where it is called Flor de Noche Buena (Christmas Eve flower), and Central America, where it is called Flor de Pascua (Easter flower). This is because the plant's star shape represents the Star of Bethlehem and its red color stands for Our Lord's Precious Blood. The Franciscan friars in Mexico used the plant in their Christmas decorations. Its English name, however, comes from Joel Roberts Poinsett who was the U.S. minister to Mexico in the early 1800s and introduced the plant to the United States. "A beautiful effect may . . . be arranged with red and white poinsettias. Use the white poinsettias for the focal point at the altar, and then mass red poinsettias in tall pots at the chancel rail and at the sides of the altar. In the same way white azaleas and the red azaleas, called Christmas cheer, could be used." "Poinsettias, both white and red, are, of course, always outstanding. They may be cut and the stem ends burned to make them last in vases. 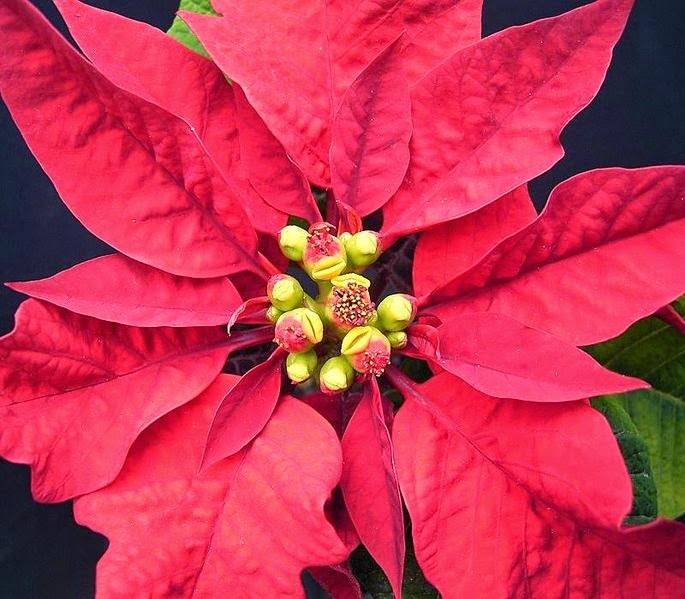 Used in pots, poinsettias are more enduring and can be employed in mass. Single specimens in four-inch pots are the easiest size to work with in a church of moderate size. 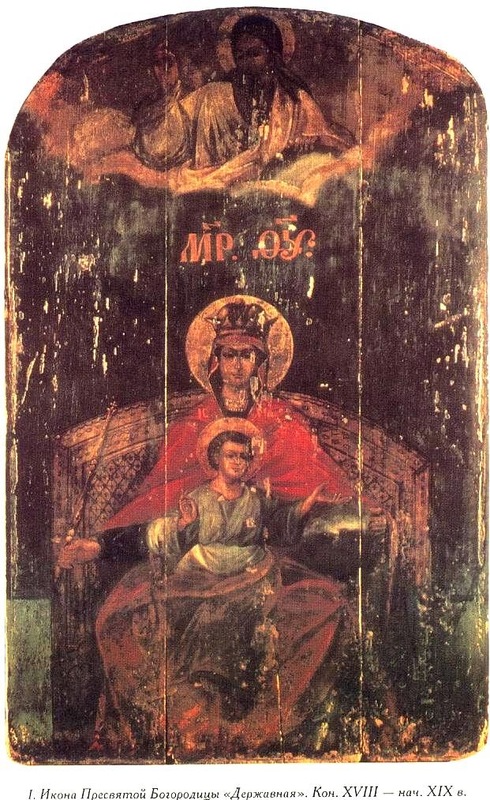 Larger specimens will detract by their bulk from the dignity of the sanctuary and the altar." Obviously, for a traditional Latin Mass where everyone kneels for Holy Communion you need to consider whether you can place plant pots at the altar rail without interfering with the reception of Communion. You may wish to simply omit that placement and only use tall pots at the sides of the altar for the red poinsettias. I do want to add that what to me was the best use of poinsettias at Christmas I've ever seen involved alternating white and red poinsettias. But I like McClinton's suggestion even better. This is because white is the liturgical color for Christmas and the star-shaped plant in white more readily represents the Star of Bethlehem. But the red is still there nearby to remind us of the Infant's future Passion. You might even consider putting an explanation of this in your church bulletin. Image: Poinsettia, photograph by Frank Vincentz, from Wikimedia Commons, some rights reserved.